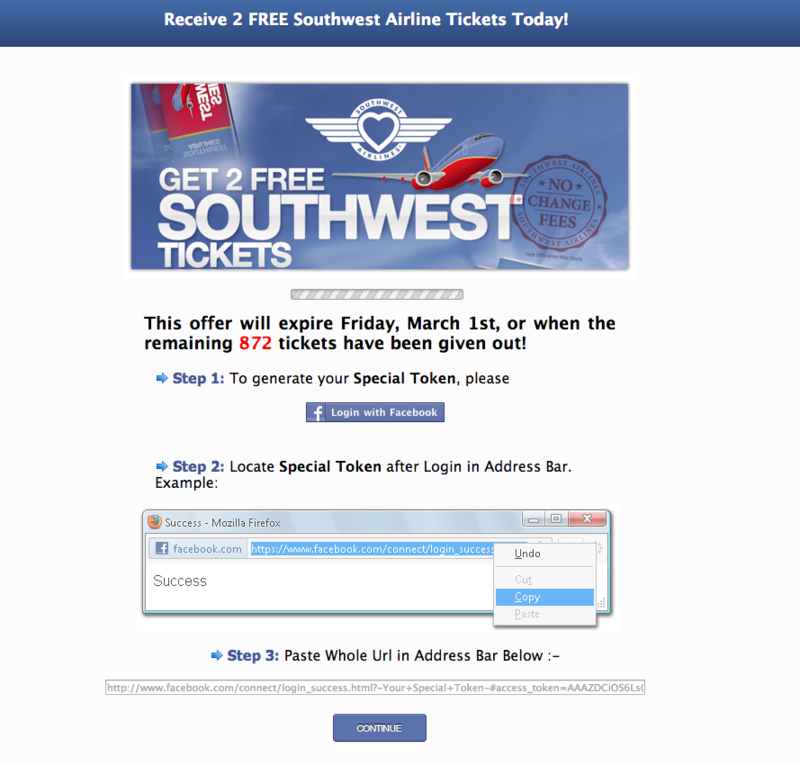 Facebook phishing scam: free Southwest flights! 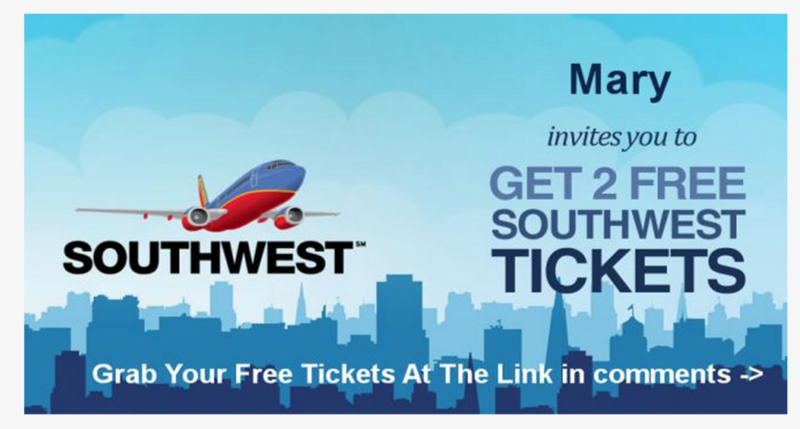 Thinking of liking and trying to win 2 tickets for Southwest flights? Watch out! It's a phishing scam! I've seen handfuls of friends on Facebook over the past night or two liking and sharing an opportunity to win two free tickets on Southwest flights. I usually see some competition or something silly like this spread slowly and amongst only specific groups of friends, but the breadth of this spread piqued my interest, so we took a closer look. Clicking on the ad will bring you to a tumblr page , which loads up a page asking you to generate and input a Facebook token. Now, the simplicity of this scam is pretty amazing for the breadth of Facebook users now clicking the link. In giving the hacker your token, you're granting him access to anything of yours that is Facebook related. So, please, before you give up your privacy further, check out what site is asking for your information and if anything seems fishy, don't get phished.